“Now we know iPhone will push video calling with its new 2-camera phone. But before they do, fring is launching today 2-way video calling over IP, across a whole host of Android devices – old and new,” said Gil Regev, Director of Marketing Communications at fring. According to recent NPD’s wireless market research, the Android OS continued to shake up the U.S. mobile phone market in the Q1 of 2010, moving past Apple to take the number-two position among smartphone operating systems. 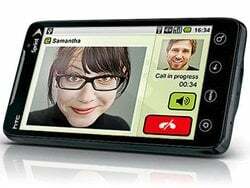 Regev said fring believes that mobile video calling will change the way people call and communicate with each other. “It will impact the way they shop or kiss their kids goodnight from the road,” he added. According to Avi Shechter, fring’s Co-Founder and CEO, the demand for this feature has been “overwhelming”.